The Jarvis Model LVST1 – electrically controled low voltage stimulaltor/immobilizer for beef and sheep. 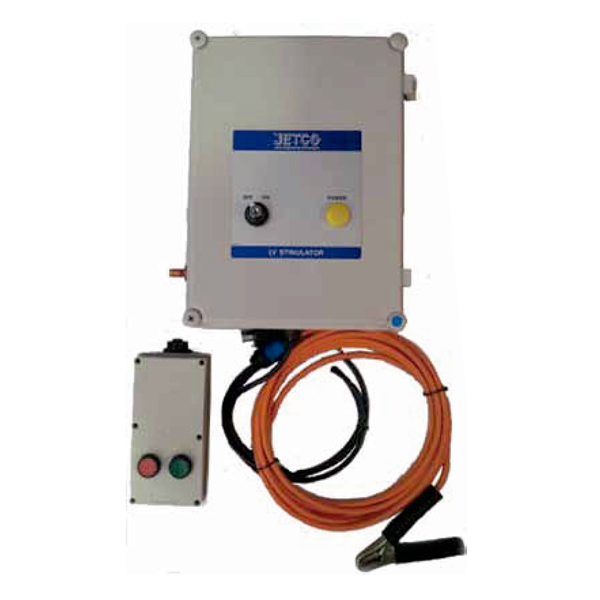 • The Jarvis Model LVST1 low voltage stimulator and immobilizer, manufactured by our JETCO subsidiary, for both beef and sheep stimulation. – Accelerates the lowering of PH levels reducing the aging period and shrink loss (cold shortening). • Available with alligator clip attachment. • Can be used on fixed electrode rail.